KGAL has considerable experience of providing professional services to manage contractor tenders against client objectives. As a matter of course we review answers to the pre-qualification questionnaire (PQQ) and identify any immediate exclusions or disqualifications. We investigate and compare pricing proposals: everything from material item pricing to the end of life costs; from subcontractor charges[i] to the hourly fees for specific roles. Whilst converting prices to scores can be challenging, the task is largely mathematical and objective (an abnormally low tender price would trigger alarm bells). Less easy to evaluate is the more subjective nature of quality (which may account for up to 50% of the score weighting); criteria such as resources, technical merit, the relevant expertise of key people, customer care, health and safety, and environmental issues: all areas, often weighted, where the quality score is not formulaic and where our own experience of relevant projects helps to inform our judgement. Is the proposal site specific, are hazards identified, to what extent is the programme schedule complete, does it show that the supplier or contractor understands the project needs, is there an accredited quality system? We ensure our final evaluation (always and only against the award criteria and their quality / cost weightings known to the bidders in advanced), and our subsequent recommendation is unique to the specific procurement[ii], entirely defendable and delivered without favour or discrimination. We apply transparency and fairness to our responsibility; we know it’s the stage in the procurement process most frequently challenged. With public procurement rules, European Directives and case law having an increasing role in the evaluation of tenders, it’s an area where many client buyers find they need expert professional help. At KGAL, in areas relevant to our market expertise, we are those professionals. We welcome your initial enquiry and would be pleased to discuss our approach in more detail. [i] In some cases we may need to review the subcontractor’s credentials too. [ii] Past experience can be an award criterion and, increasingly, is used my major private and public clients to enable potential suppliers to pre-qualify. 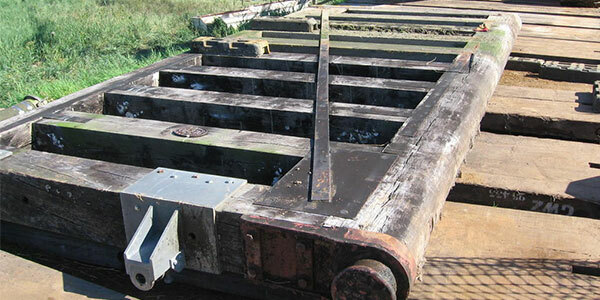 The images are 'before' and 'after' pictures of one of two damaged timber mitre gates at Cley in Suffolk, England, and its new replacement steel gate being lifted into place. KGAL provided project management services including site supervision for Halcrow (now CH2M) on behalf of the Environment Agency. 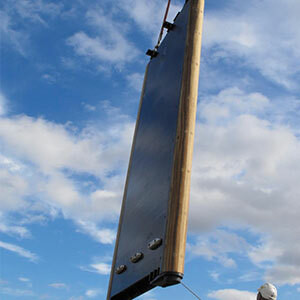 Our work included tender evaluation of the gate fabricators.